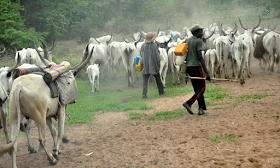 One soldier was killed while another one was seriously injured after suspected cattle rustlers attacked a joint security patrol team at Madaci village of Faskari local government area in Katsina State on Thursday June 2nd. According to the Katsina State commissioner of police, Usman Abdullahi, the joint patrol team was on patrol of the area when the rustlers ambushed and attacked them. The injured soldiers were rushed to a hospital in Zaria where one of them was confirmed dead on arrival.